Congregation Kehillath Israel began as a small collective in 1911. 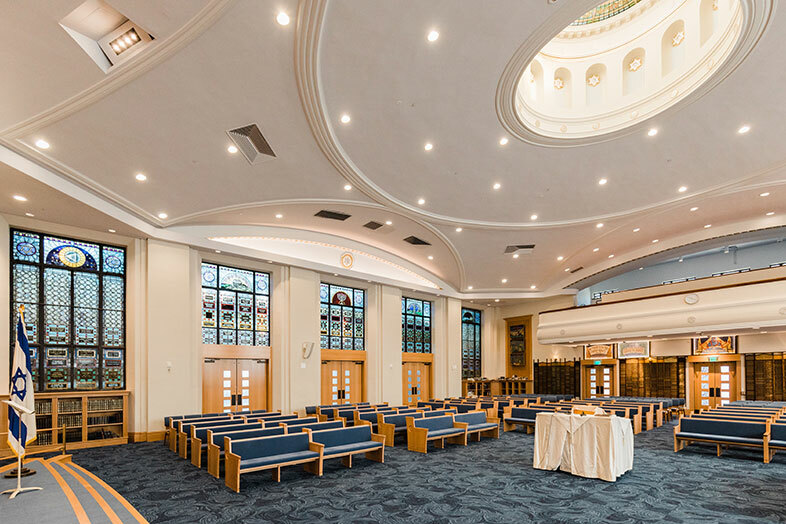 In celebration of its centennial year, they dedicated themselves to creating a multi-generational, innovative, and inclusive center for Jewish learning and worship. Kaplan had been involved since the project was in conceptual design nearly 10 years prior, providing numerous design concepts, budget analyses, and brainstorming to craft the temple’s new mission and identity. 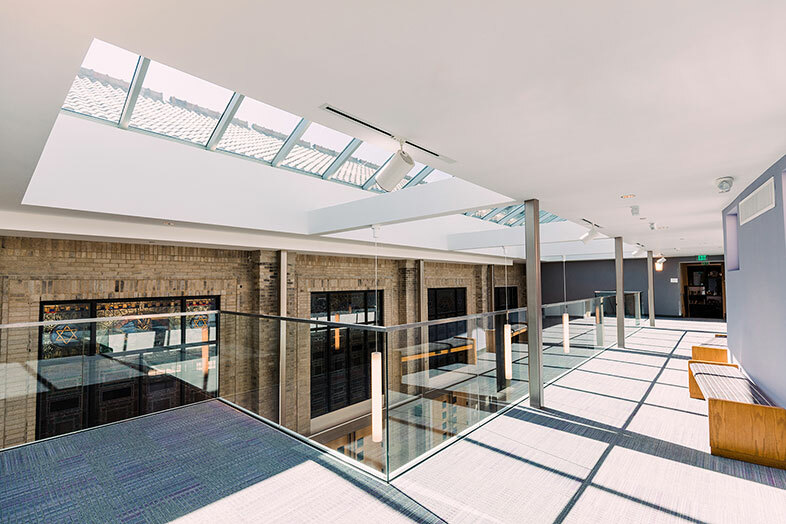 Once KI’s fundraising goals were met in 2017, Kaplan managed the construction of the extensive two-phase project, which included the reconstruction of two existing buildings, along with a 10,000 SF addition to the property. 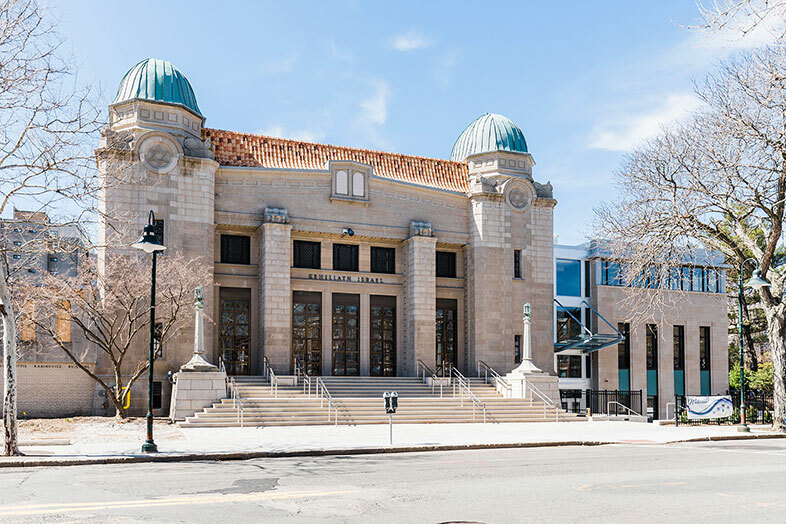 Today the synagogue hosts a brand new sanctuary, social hall, offices, pre-school, and a dedicated space for Congregation Mishkan Tefila, who has co-located with KI on their Brookline campus. Highlights of phase one include the full restoration of the brick and stone facade and 100-year old Spanish tile roof, both of which required the production of custom pieces (tailor-made cast stone and hand painted and custom-shaped roof tile) to match the original texture, color, and architectural design. Existing stained glass windows and the main sanctuary staircase were also restored. Phase two involved the interior renovation of the sanctuary and adjacent school building, totaling 30,000 SF. 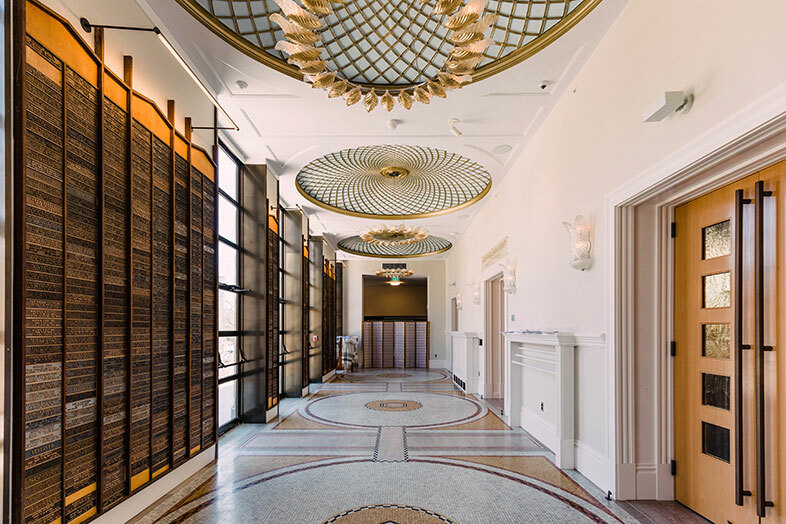 The interior renovations required heavy structural modifications with the installation of new bathrooms and modern HVAC, mechanical, and lighting systems. A 10,000 SF addition was also completed, featuring a catering kitchen and large social hall that connects to the sanctuary through a sunlit atrium. The project was completed in late 2018.